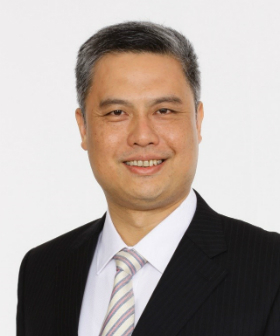 Mr. Rocky Cheng has been working in IT and finance industries for more than 25 years. He has engaged in various technology and management positions and is expertized in IT governance, application development, infrastructure management and technology risk management. He also has profound knowledge in banking and finance industry, including the products and operations of banking, securities trading and insurance. Rocky is working as the General Manager of the Bank of China (Hong Kong) Limited, leading the group IT to accomplish business strategic goals and driving technology innovation as one of the growth engines of the Bank. Rocky plays key roles in various IT organizations, Academic & Research institutions and government committees in Hong Kong. He is a judge of the Innovation and Technology Support Programme, a member of the Technology Review Committee and a judge of the Innovation and Technology Fund Research Projects Assessment Panel under the Innovation and Technology Bureau, a member of Innovation and Technology Training Board of Vocational Training Council under Education Bureau of HKSAR Government. Rocky is also the Chairman of the e-Banking Security Committee of the Hong Kong Association of Banks.